When searching for a new home, buyers have a lot of ideas about what they are looking for. From the layout to the design elements and even materials and finishes. 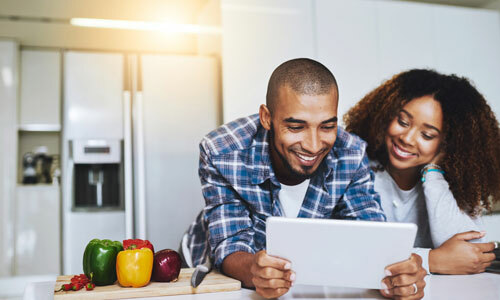 In order to get an idea of what homebuyers are looking for, homebuilder Ashton Woods asked future homebuyers for what they were looking for in builders, builder options and design and layout elements. Overall, participants are looking for more space than they currently have. Homes with three bedrooms and two bathrooms tended to be favored overall. But baby boomers were more likely to want four bedrooms, whereas millennials were looking for three-bedroom homes followed by two-bedroom homes. The survey found that nearly half of future homebuyers are currently the most frustrated with their kitchen (46 percent), followed by the master bathroom (32 percent) and the backyard (30 percent). The garage, master bedroom and secondary bathrooms are also frustration points for more than 20 percent of participants. These frustration points toward what these buyers are willing to splurge on. Nearly three-fourths of participants said they would prioritize luxury features in the kitchen over any other part of their home. And while all-white kitchens have seen a resurgence in many design circles, homebuyers actually said they prefer natural wood over white cabinets (30 percent versus 17 percent). When it comes to the master suite, the size of the bedroom was the most important feature for 44 percent of survey participants, followed by the location of the master suite within the floorplan. However, size isn’t as important when it came to the master bathroom and the closet space as only 10 percent of caring heavily about the size of those two features. What buyers do care about with their bathroom is having a walk-in shower and no bathtub (37 percent) or having a separate shower and tub (36 percent) more than having a shower/tub combination (27 percent). The most important extra feature for homebuyers is a dedicated laundry room with 81 percent of participants wanting that space over a home office (67 percent) or an entertainment room (59 percent). An additional or hobby room is also considered valuable, but up to a certain price. A third of participants were willing to spend an extra $10,000 for the space, but 24 percent said they were not willing to spend any extra money on it. But the extra space is not just for the human members of the household. Almost half of participants who owned a pet said having a dedicated space for their pet was important to them. When it came to the general build of a home, homebuyers have pretty diverse positions. Ranch and modern architectural styles led as the most popular, but were preferred by only 13 percent of survey participants each, followed by cottage and traditional homes at 9 percent each. However, when broken up by generation, baby boomers preferred ranch homes (20 percent), Gen Xers preferred ranch and modern (13 percent each) and millennials leaned toward modern homes (13 percent). For interior style, homebuyers were split amongst transitional, traditional, contemporary and farmhouse at 14 percent each. However, baby boomers preferred traditional interior design styles (17 percent), Gen Xers enjoyed transitional (17 percent) and millennials liked contemporary interior design (16 percent). Custom built-ins and decorative ceilings were the top two design elements that future homebuyers would consider adding into their next home. And 38 percent wanted hardwood flooring in their home. Carpet is the most divisive interior home feature with it showing up as the second favorite flooring option, but also ranked highly as one of the least favorite flooring options. If a homebuyer is looking for a new construction home, it can be overwhelming when figuring out which builder to go with. This is why 31 percent of survey participants said that a homebuilder’s satisfaction ratings are the main consideration that they take into account, above the ability to personalize their home (27 percent). And while homebuilders often provide community amenities, like a pool, and have partnerships with specific brands for materials and appliances, those were listed as the least important considerations for future homebuyers. In fact, homebuyers preferred builders that provide design personalization options (75 percent), and more than two-thirds said they are willing to pay more for that choice. So rather than providing community amenities, homebuilders may be better off providing professional design services, as 64 percent of survey participants wanted that option. Additionally, 78 percent wanted to be able to pick all of the materials – the finishes, colors, etc – in one location as opposed to separate locations for each.